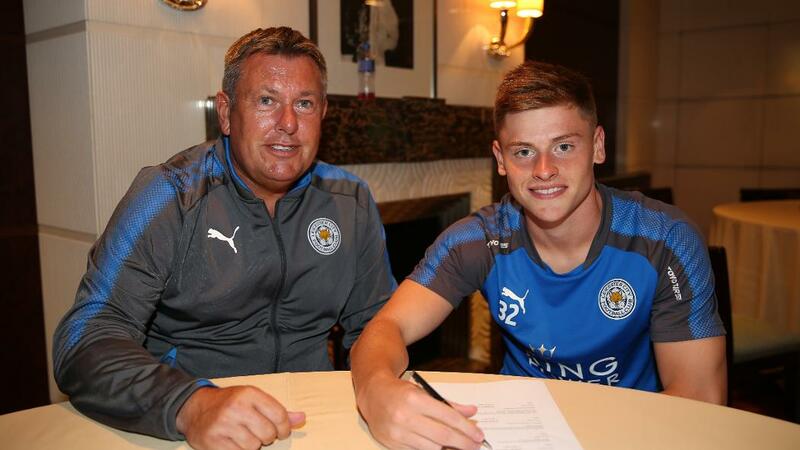 Delighted Harvey Barnes is looking forward to a bright future at Leicester City after agreeing a new four-year contract with the Club this week. The 19-year-old midfielder broke onto the scene as a second half substitute at Porto in the UEFA Champions League last term before enjoying a successful loan spell at MK Dons. As the Club’s Development Squad Player of the Season for 2016/17, Barnes has already earned a reputation for himself as one of the brightest talents in English football. The Countesthorpe-based Academy product strengthened his standing further this summer by emerging victorious from the Toulon Tournament with England U20s as joint top-scorer. Harvey Barnes picks up his award for 2016/17 Development Squad Player of the Season in May. Now with Craig Shakespeare’s squad in Hong Kong for the Premier League Asia Trophy, Barnes told LCFC TV: “Obviously, I’ve been at the Club a long time so it’s a great achievement for me. “Hopefully I can push on throughout all the years. The four years gives me a bit of security so I can work on each year as it goes and hopefully push on and see where each year takes me. 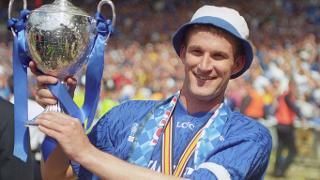 “The team now has been the same since I was a young age. It’s nice that you’ve got the same group of players and you know everyone really well. Harvey Barnes talks to LCFC TV after putting pen-to-paper on a new four-year deal with the Foxes. Barnes says the experience of training alongside the senior squad has been especially beneficial having joined them in both Austria and Asia this summer. “I’ve enjoyed all of it so far,” he added. “You definitely learn different things. It is a lot different to the youth football that I am used to. I’m really enjoying it at the minute. Harvey Barnes helped the England U20s retain the Toulon Tournament last summer. “I’ve known Ben Chilwell for a while and I’m good mates with Demarai [Gray]. They’ve helped me settle in. They’re not here at the minute but at the end of last season they really helped me.